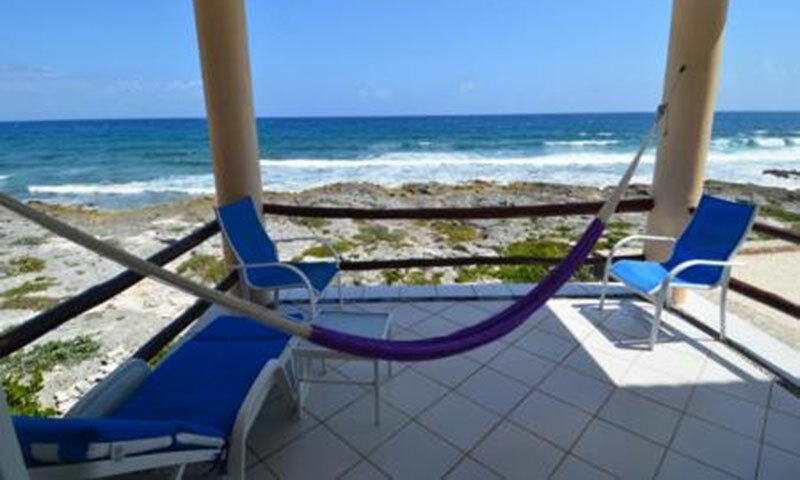 These wonderful condos are located on the rocky point between Half Moon Bay and the entrance to Yal Ku Lagoon in Akumal, Mexico. 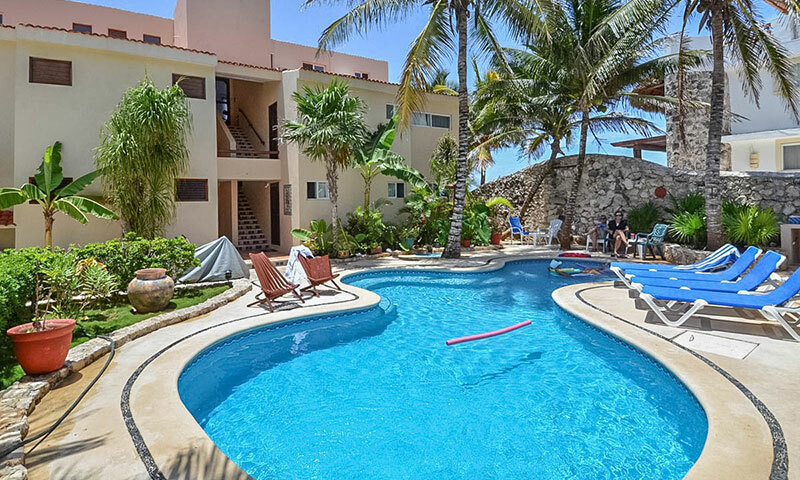 These super popular vacation rental condominiums are well appointed and maintained, offer privacy as well as incredible, panoramic ocean views. 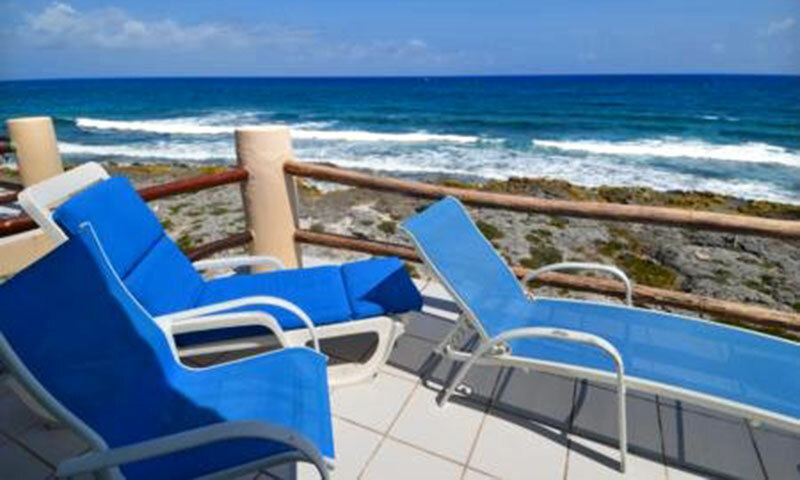 From the patio you can listen to the breaking waves as you watch the sunrise over the eastern horizon. 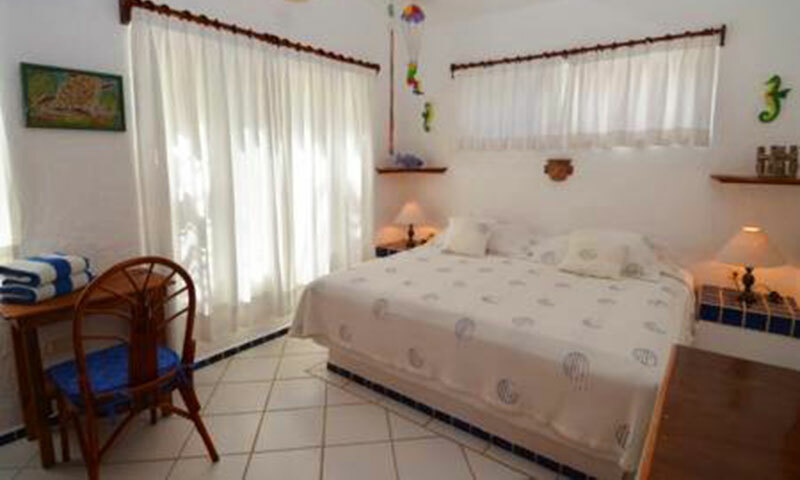 Yal Ku Cai has 1 and 2 bedroom units as well as a poolside casita. 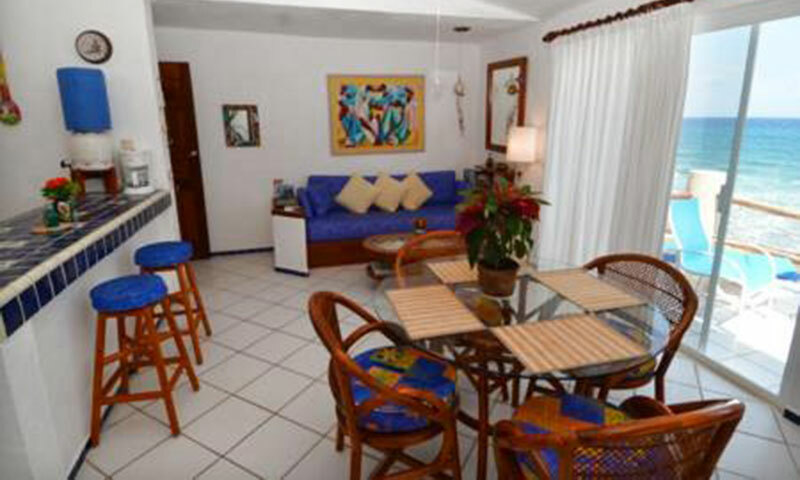 All condos have full kitchens, living and dining areas with ocean views, comfortable mattresses, plush towels, Television, zone controlled air conditioning, and furnished ocean side terraces. Extra amenities include VCR/DVD players, wireless Internet, (accessible at the pool as well), video selections and library books. Please check individual listings for details. Common areas have a sun/shade guarded pool with loungers. A large built in gas BBQ is available next to the pool. The staff is very friendly and can help guest with luggage, questions or any repairs the may be needed. Maid service is provided 6 days a week. Please inquire with Ingrid, your caretaker, for services like babysitting, cooking and a massage. Also, don't miss the daily lunch truck that stops to feed the staff around lunchtime; it is the best deal in town. 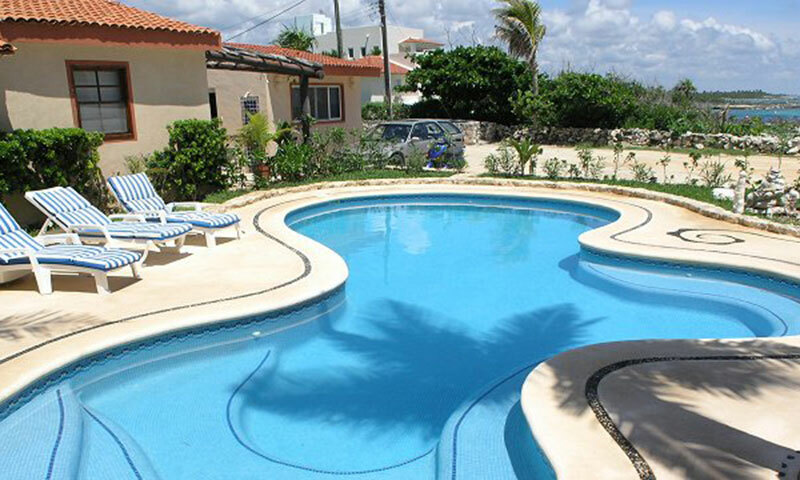 Guest staying at Yal Ku Cai might want to consider renting a car or golf cart for the duration of their stay as central Akumal is a very long walk. Some condos come with bikes for guest use. There are four restaurants within walking distance and Yal Ku Lagoon and Half Moon Bay beach are each a 5 minute walk from the property. This studio on the third (top) floor is perfect for a couple on the lookout for an escape from everything but each other. 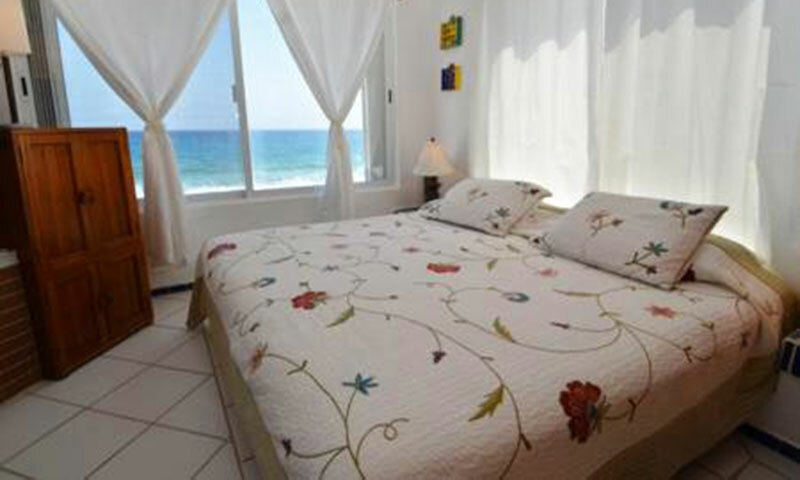 The expansive windows make it possible to wake up in the morning almost surrounded by Caribbean views from your king size bed in your air-conditioned bedroom. 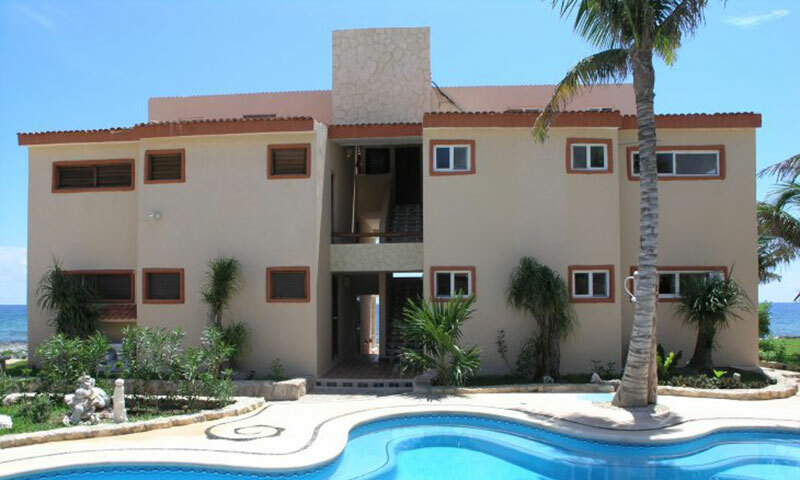 These wonderful condos are located at the Caribbean entrance to famous Yalku Lagoon, in Akumal, Mexico. 'On The Edge', Yal Ku Cai, sits on the northern perimeter of spectacular Half Moon Bay. 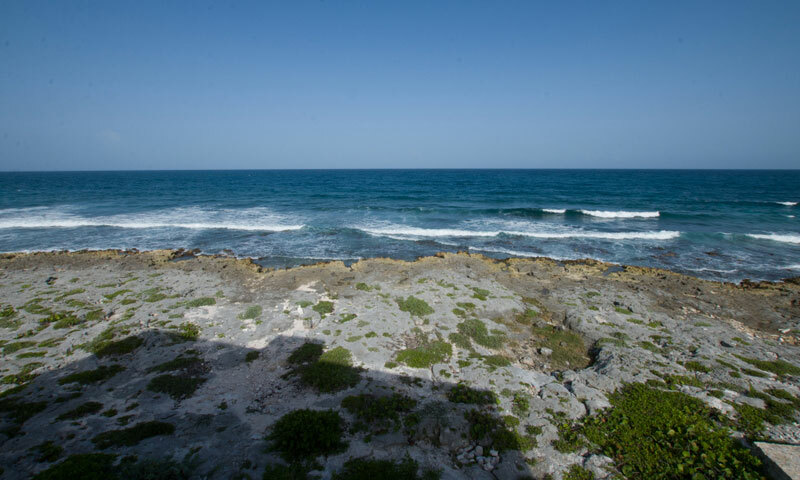 From the panoramic view, protected Half Moon Bay sits to the south, and the coastline of the Mexican Caribbean to the north, just where it opens to the inlet of Yalku Lagoon. 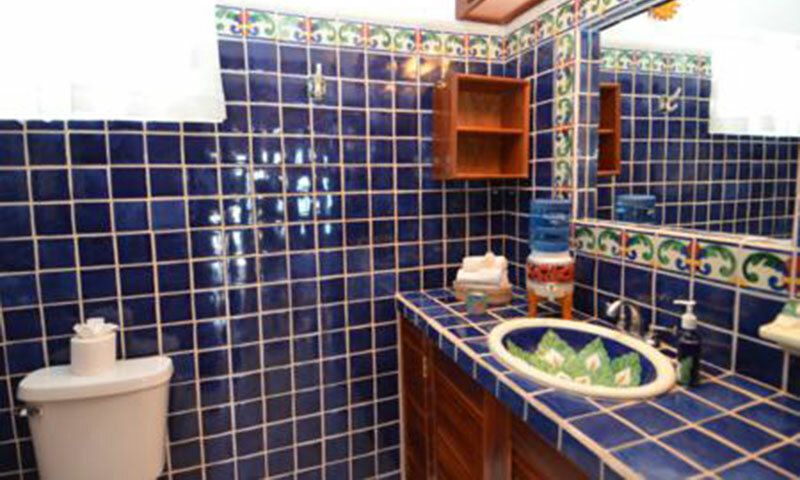 Renovated in 2007 with Talavera tile in kitchen and newly tiled floor, the Casita is fully air conditioned, and has dining room, living room, full bathroom with shower, bedroom with a king size bed and a front porch for relaxing in the afternoon.